Bonded front windshields have static and bracing functions in the automobile industry. Why not in building facades? UNIGLAS® | FACADE was thus designed in such a way that wind forces on glass and building are conducted over UNIGLAS® | FACADE via the substructure (mullions and transoms). The flexible silicon special adhesive between glass and wooden glazing tape effortlessly conducts forces, which may arise due to storm, earthquakes or material expansion due to temperature fluctuations. 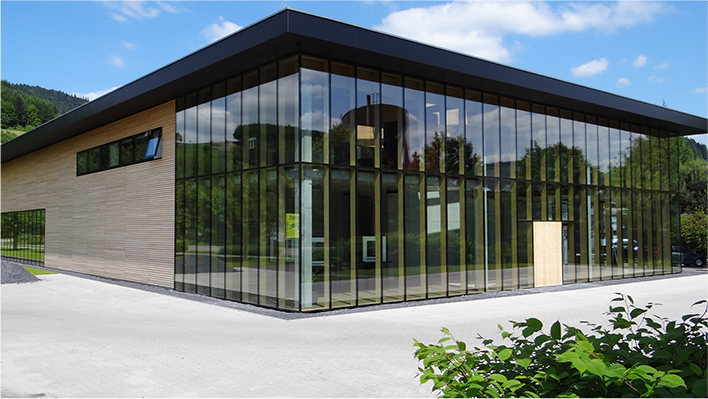 All systematic forces, which may have impact on glass, are conducted through the flexible special adhesive OTTOCOLL® S 660 and patented wooden glazing tape on mullion-transom constructions. 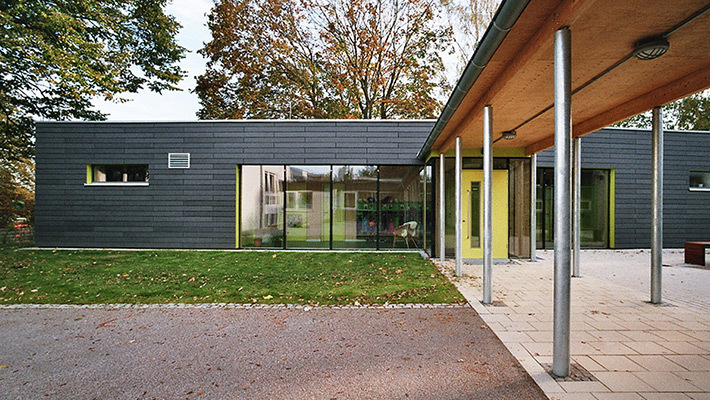 UNIGLAS® | FACADE timber-glass-composite elements are characterized by their inconspicuousness. 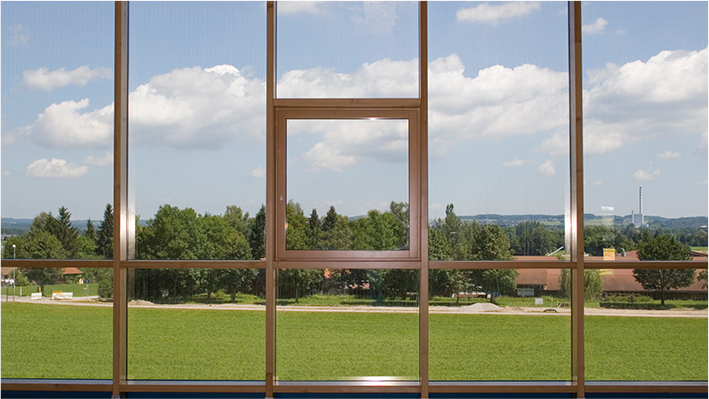 Thanks to patented, interlocked wooden glazing tape, the contact surface on the substructure is kept to a minimum. There is only a narrow and dark joint from outside, which structures the facade in a pleasant way. Inside the focus is on wood substructure made of mullions and crossbeams. The wooden look provides a comfortable inside atmosphere. 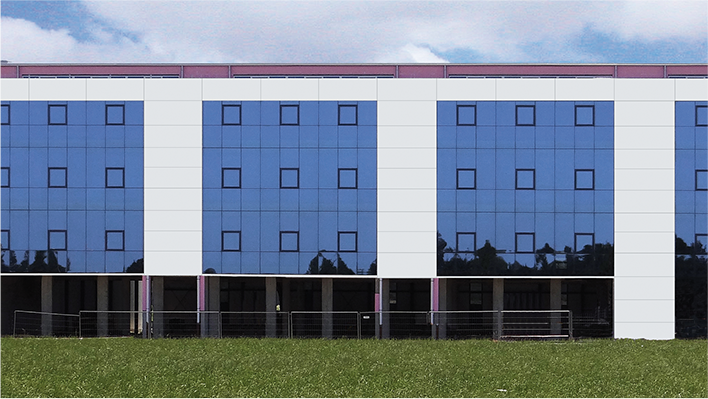 UNIGLAS® | FACADE is suitable for different architectural solution in almost all areas. 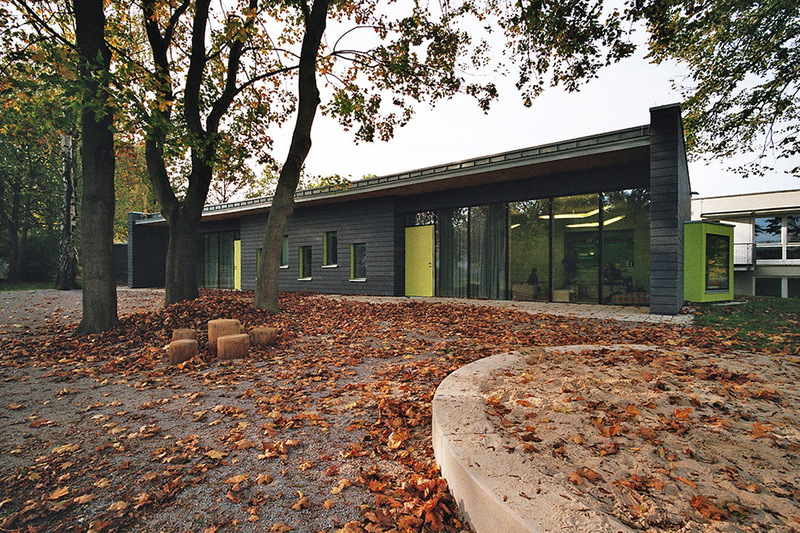 Use it winter gardens or extensions in houses, in offices and commercial buildings or public buildings such as schools or kindergartens: With UNIGLAS® | FACADE you cannot only implement ideas that look good, but you can benefit from its high energy efficiency, use of sustainable raw materials, quicker assembly and recycling capability. Spacious glazings such as UNIGLAS® | FACADE timber-glass-composite elements help in creating spaces flooded with natural light and thus contribute to the well-being of the users.